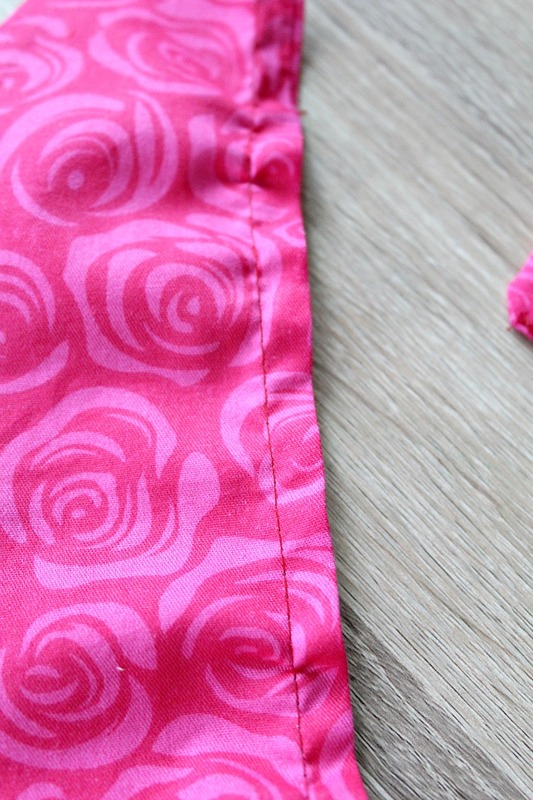 Gather the sleeve using a loose stitch setting on your machine. 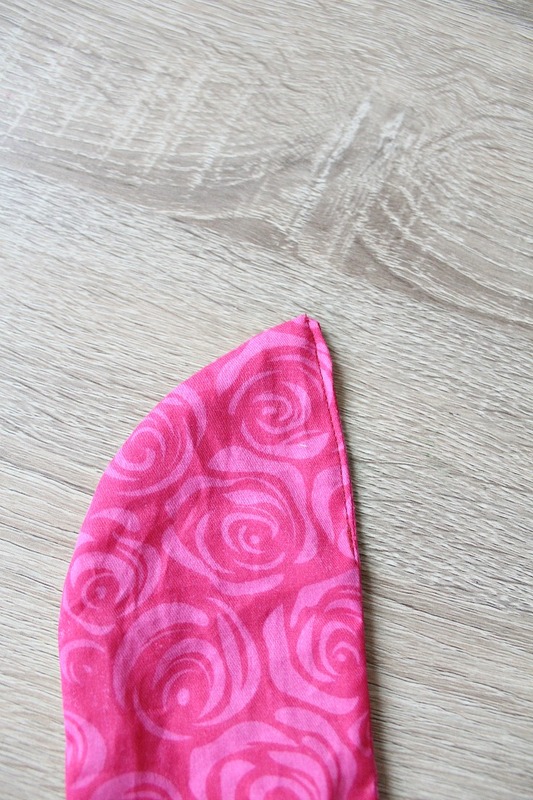 Back stitch at one end, where you start sewing the loose stitch. 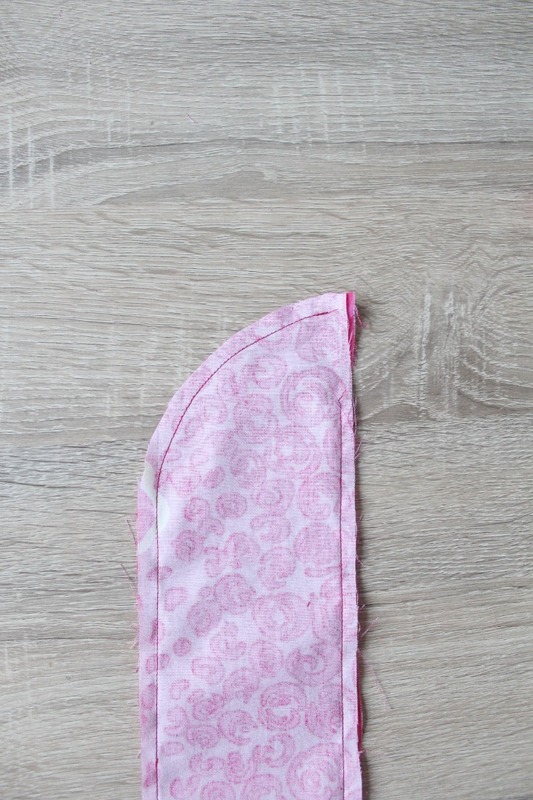 When finish stitching, leave at least 6 cm = 2″ long thread out. 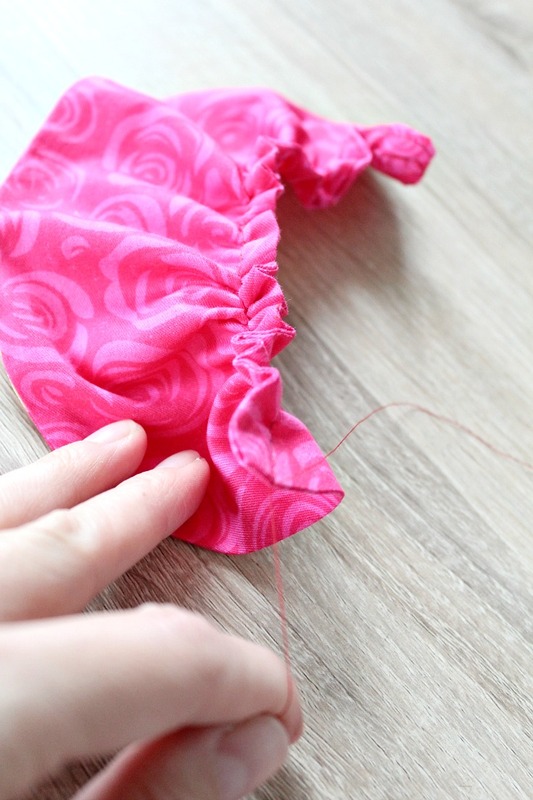 Pull fabric with one hand and on one thread with the other hand. Gather as much as you like. 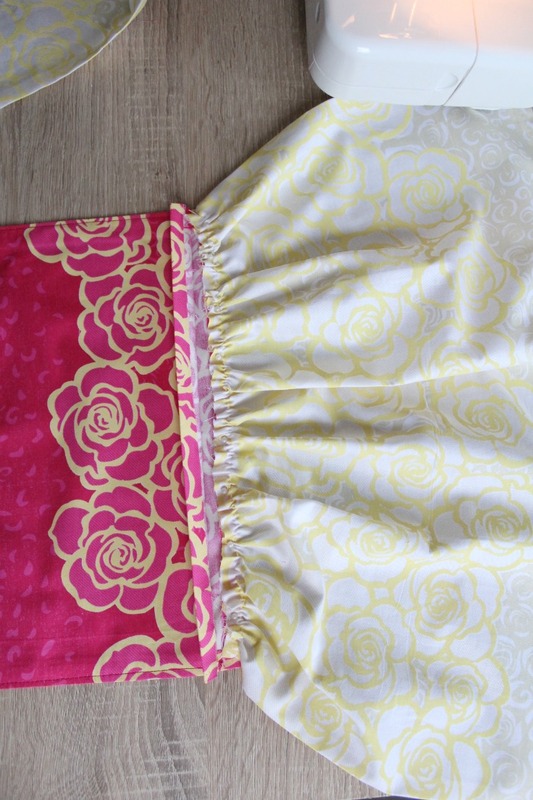 Take your skirt fabrics and serge on all sides or fold fabric twice as indicated above to finish the seams. 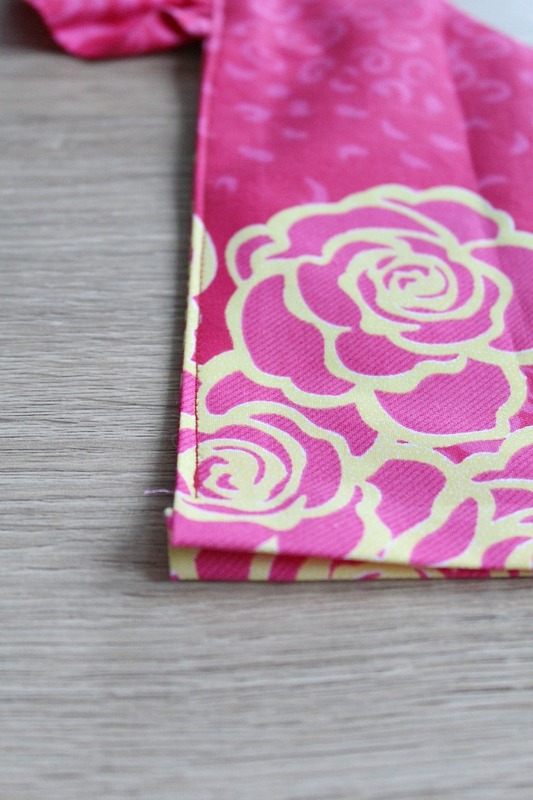 If you use a serger, fold fabric twice only on the hem. Sew 2 stitches on the hem. 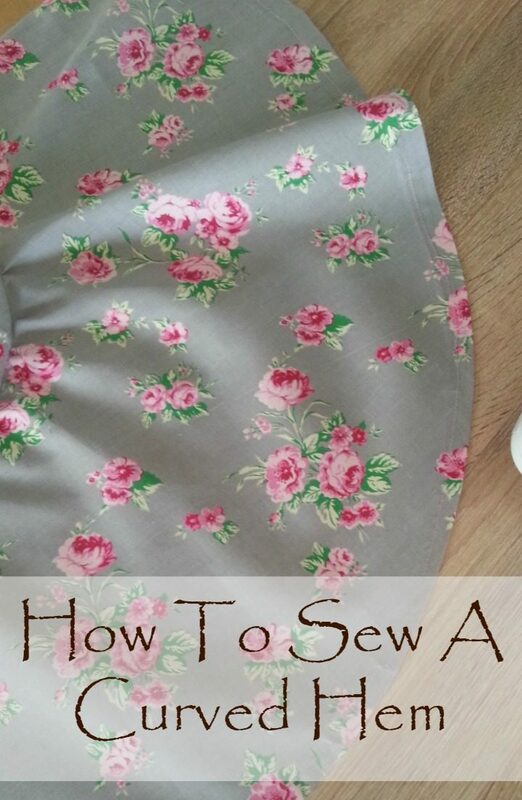 Place gathered skirt fabric right side out in between bodice fabrics and stitch to the inner bodice fabric. Now it should all look like this and all you have to do is stitch the sides together, starting from the hem and stopping 7 cm past the body. 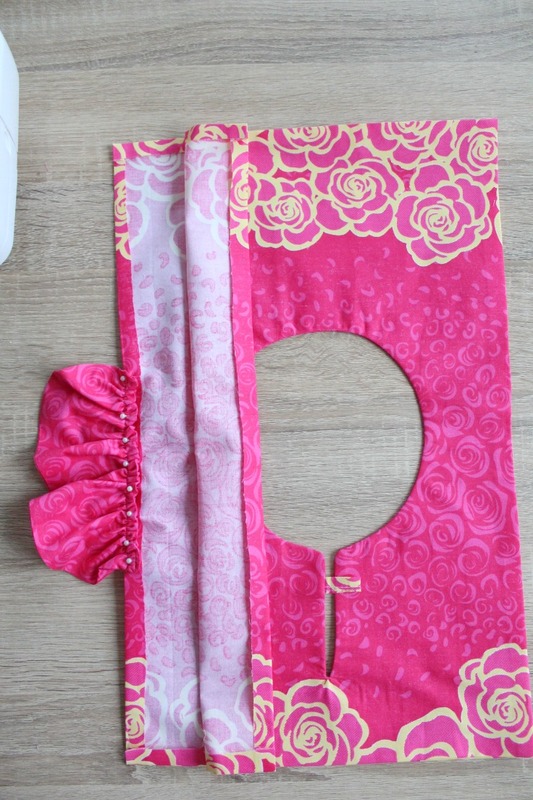 I wanted this dress to be a surprise to my daughter and took the chance, I didn’t have her try it on before sewing the sides but I suggest you don’t skip this step as your dress might need some adjusting. If all fits well, just sew the sides up. And you’re done!! Enjoy your hard work and give yourself a good pat on the shoulder! 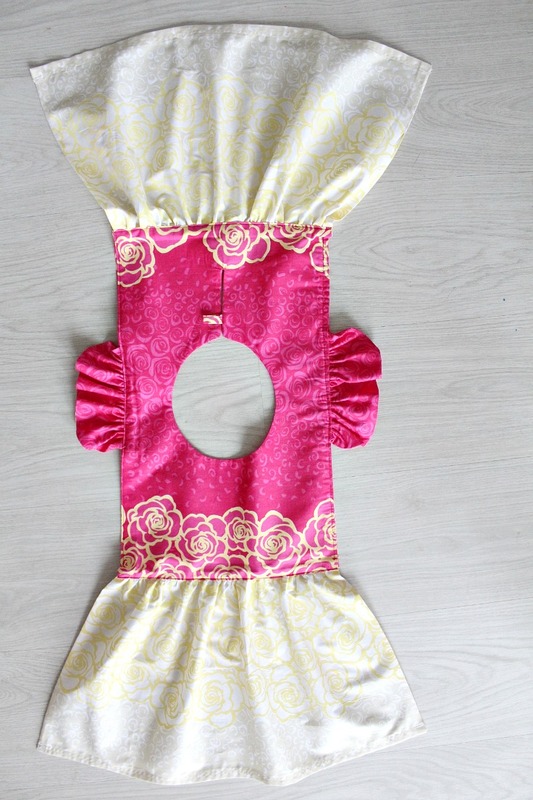 I found this an intermediate project for a beginner sewist. Let me know how your flutter sleeve dress turned out, I’d love to see photos. Here’s my little angel modeling the dress which by the way she’s crazy about! Yay! Pillowcase dresses are not only super cute, even on ladies, but insanely easy to make too, perfect beginners project! Here’s how to! A Paper bag skirt is probably the easiest piece of garments you could create! You won’t believe how simple and quick this is! 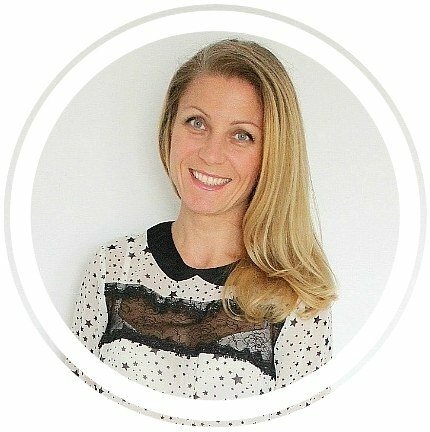 This simple gathered dress is perfect for any season, roomy and comfortable and so easy to sew! 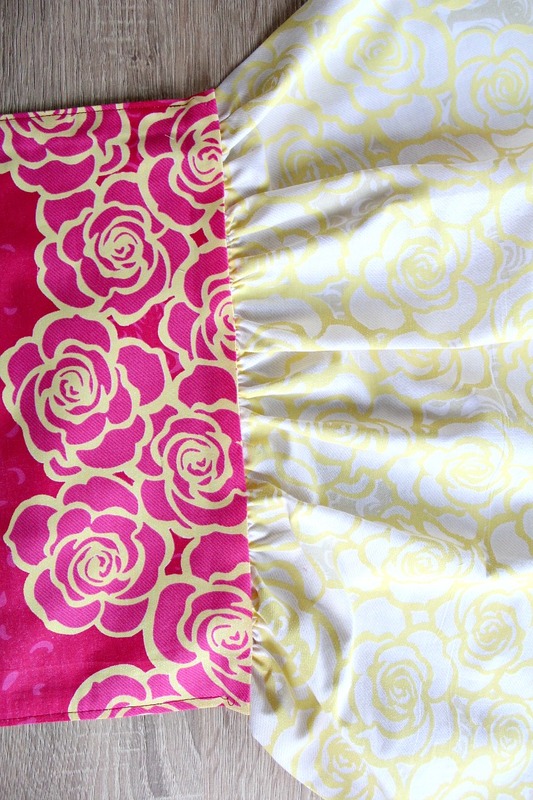 Curved hems are so pretty, especially for dresses or circle skirts. Here is an easy method that will give you a smooth, neat finish. 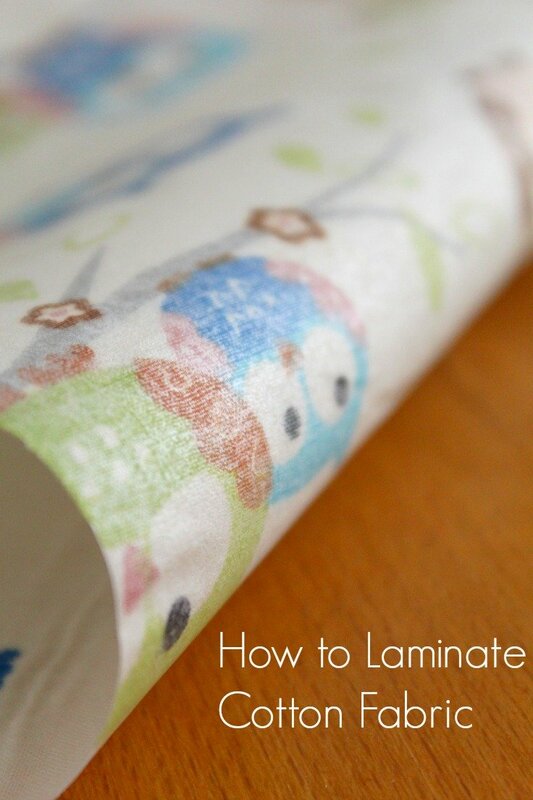 Love sewing with laminated fabric or vinyl? 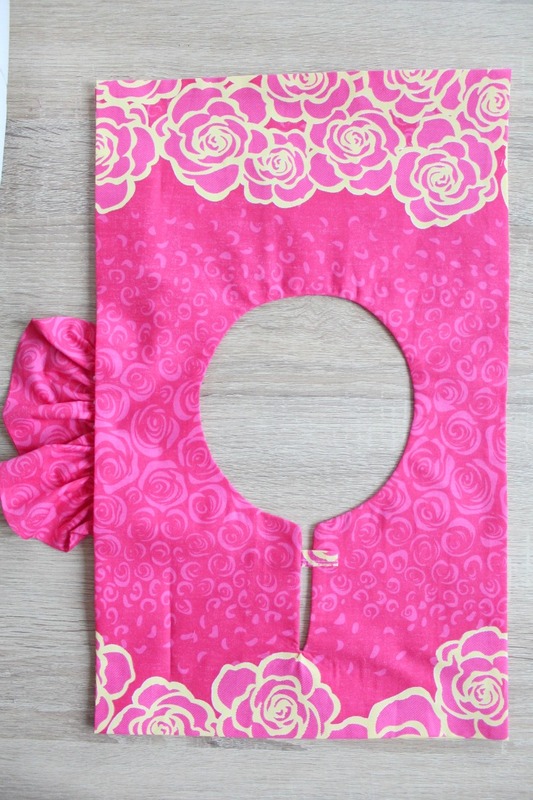 Make your own with this super easy method, in the color and pattern you love! Corded bag handles are so ice and look professional. 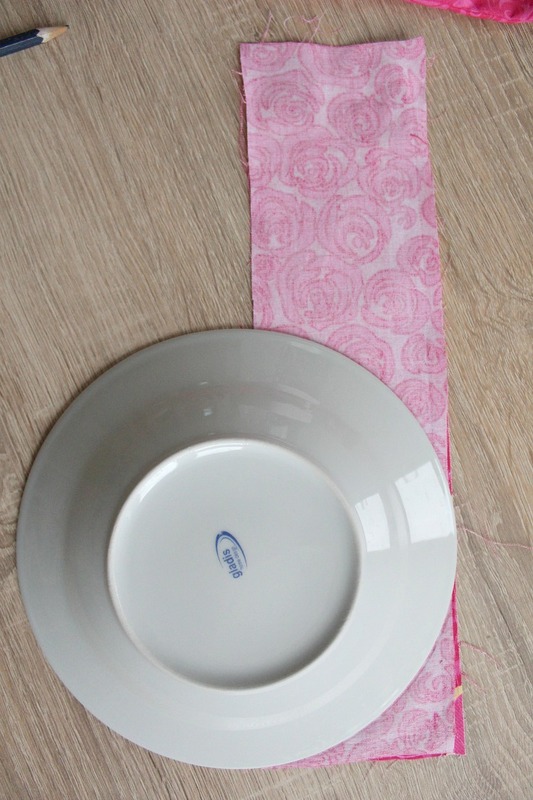 This simple and quick tutorial will teach you how to make your own!